I was fortunate to live in Dubai from 2012 to 2015. This was an extraordinary opportunity to study and teach photography. 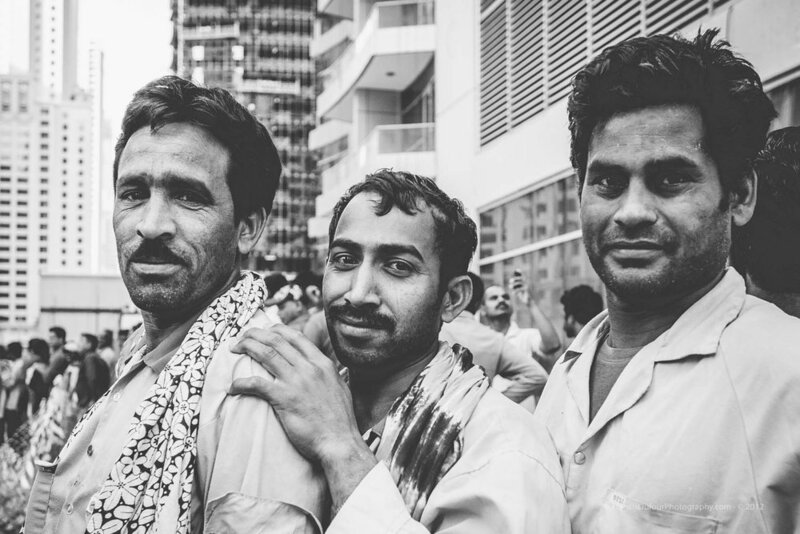 During these 3 years, I had time to discover Dubai and met dozens of low-paid migrant workers, most from India, Pakistan and Bangladesh, who came to Dubai to support their families. This series of 10 photos is a tribute to the courage of these anonymous workers. Migrant construction workers lined up to board a bus which will take them back to their labour camp for the night. In Dubai Marina, a migrant worker gathers cardboard for recycling. A man selling fresh juice is staring at me through the window of his shop. 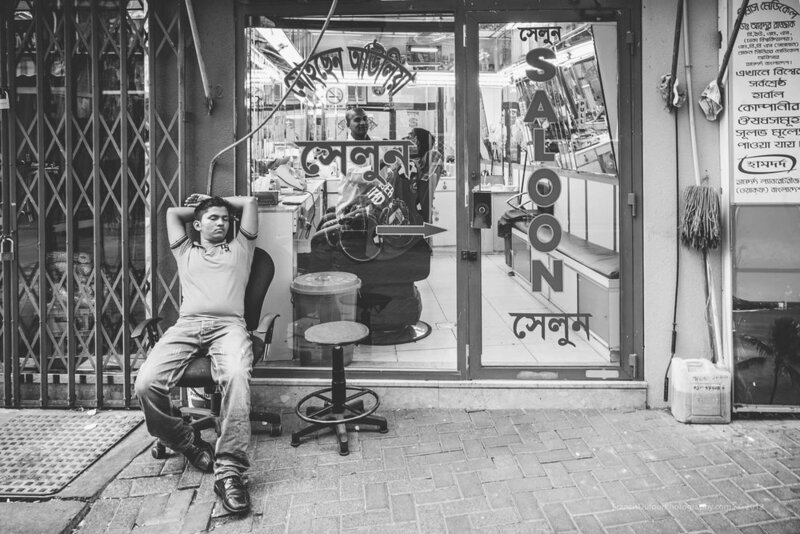 A young man is sleeping at the entrance to a barber shop for migrant workers. 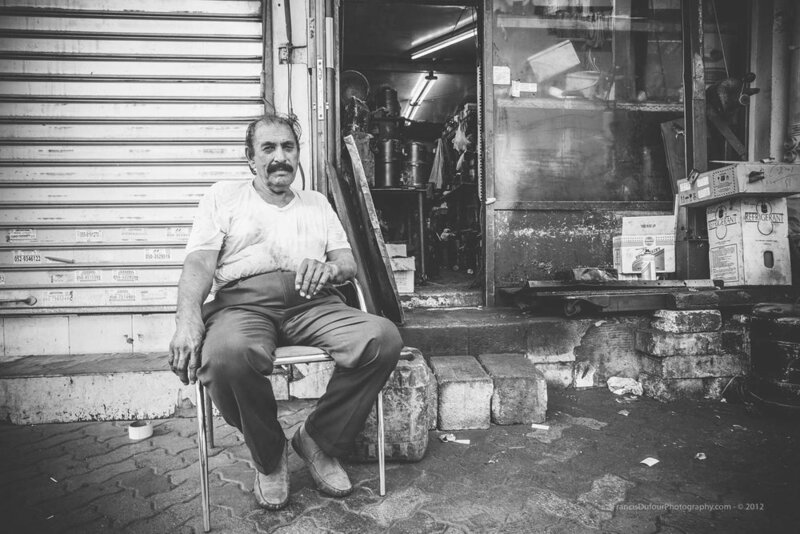 In the old part of Dubai, a man lets himself be photographed in front of his air conditioner repair shop. 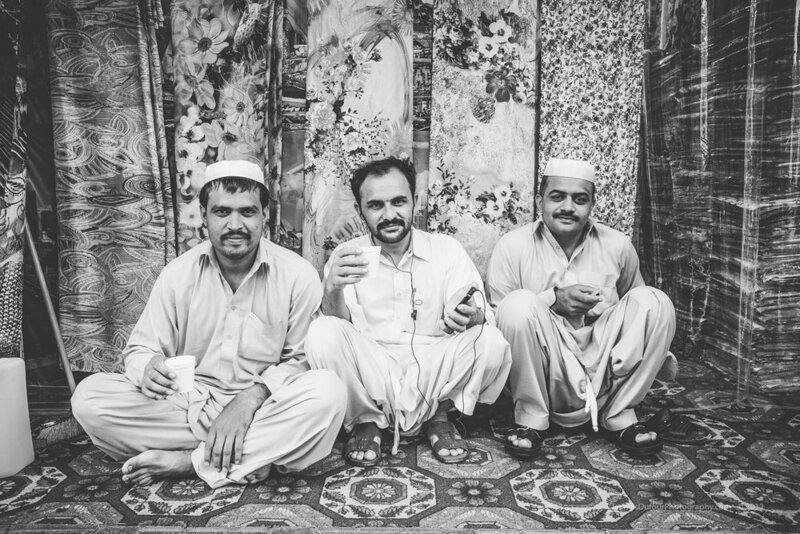 Carpet sellers enjoying some tea in front of their shop. The posture and the eyes of this worker leave no doubt about his pride. Crouching in front of his shop, a man is waiting for customers. This posture is frequent among Asian migrant workers. A young man gives me the gift of a broad smile at the end of his working day. Most of the workers I met were warm with me and eager to be photographed. A worker even ran after me to be photographed. 10 - Whose reality is this? Working to build an inaccessible world.